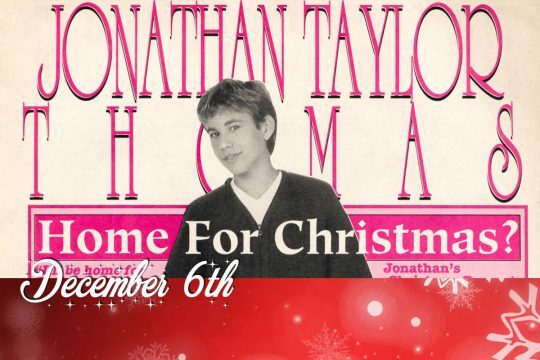 Home > Uncategorized > December 17th – JTT Q&A! 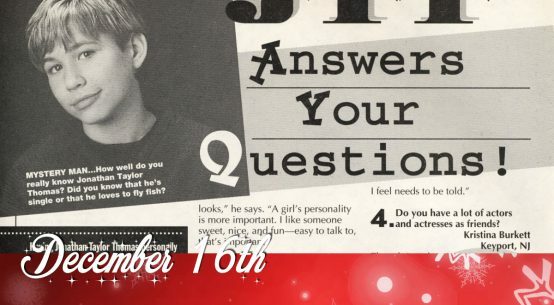 We continue the countdown to Christmas with another JTT Q&A, this from a 1997 issue of Teen Beat. between takes but hang out with each other. 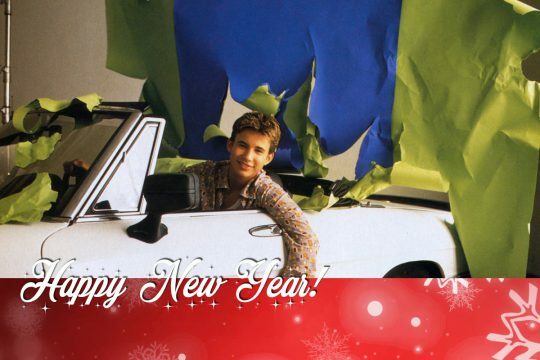 Some actors might not be so eager to work with their co-stars again, but JTT is such a sweetie that that’s just the kind of thing he would say! 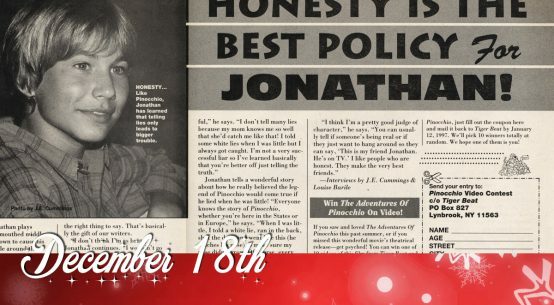 He said that and lots more to TEEN BEAT when we cornered him for a Q&A, and here goes! TEEN BEAT: How would you describe Marshall, your Wild America character? 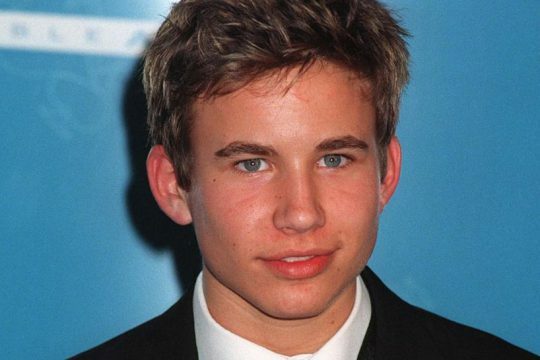 JONATHAN TAYLOR THOMAS: Marshall is the youngest of three brothers but he’s very intelligent, sort of all-knowing. He’s very intuitive, always one step ahead of everyone, and he sees things differently. TEEN BEAT: When Marshall secretly tags along with his older brothers, what effect does he have on their adventure? 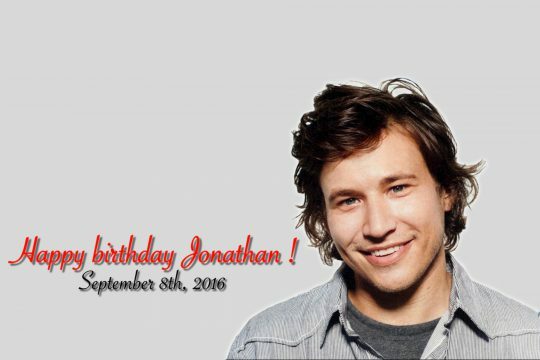 JTT: He has a sense of calmness and it’s through that that he’s able to keep the family together. TEEN BEAT: Many of the stunts look dangerous. Did you use a double or have any special training to do them? 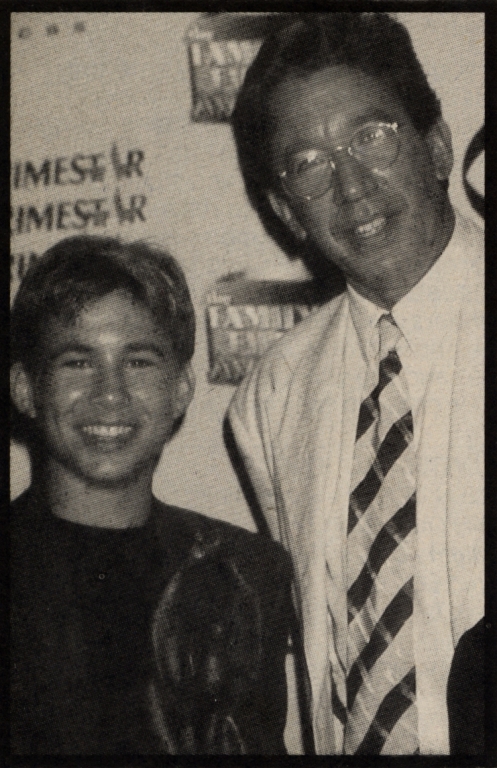 JTT: l didn’t really have to train or anything. I had doubles for some scenes, but a lot of the movie was very physical in and of itself. I mean, Devon, Scott and l, we’re all pretty athletic, it wasn’t easy but it was fun. But no, l really didn’t train specifically for any of the stunts. TEEN BEAT: How was it working with Devon and Scott? 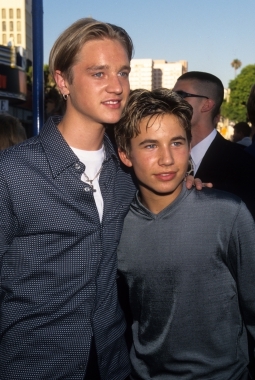 JTT: Great, we had a really fun time. They’re great guys and great actors. I’d love to work with them again. They’re also good friends. TEEN BEAT: Did you guys hang out together when you had a day off or a break in filming? 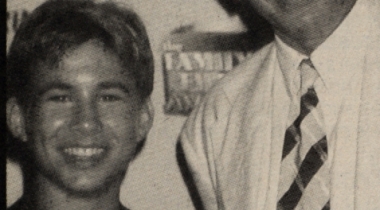 JTT: When you’re in a situation like that for an intense three months of filming, to be able to walk away from a long day’s work and laugh with your friends, if you can do that, it’s very cool. TEEN BEAT: Did it ever get crazy with you and Devon, two of the biggest teen stars, being in the same place at the same time? 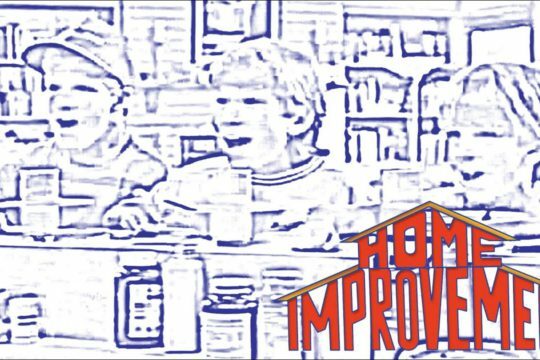 JTT: Not really. It was actually okay, we’ve hung out together and even taken in a couple of movies, but nobody really bothered us that much. TEEN BEAT: There’s a scene at the end of Wild America where a bunch of girls ask you, a.k.a. Marshall, for your autograph. What was your reaction to that, since that happens to you in real life all the time? 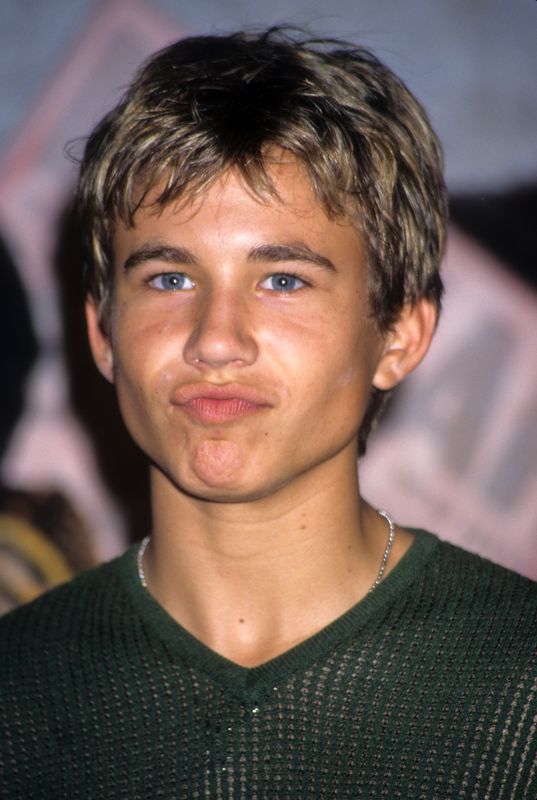 JTT: I didn’t even know about it. They put it in afterwards. I Just think it was womething that was kind of funny and they just threw it in there.  I don’t think it really had any relevance to me. I just thought it was funny, in the movie, the Stewart sisters go away with Mark and Marty, and Marshall’s kind of left standing there, so I think maybe they put that in there just to give Marshall a little recognition. But, I don’t really think it had anything to do with me. TEEN BEAT: Do you know what’s next for you? 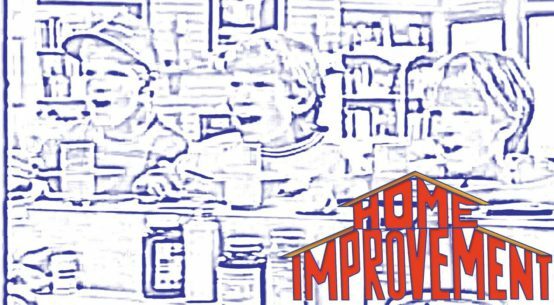 JTT: Well, we wrapped Home improvement for this year and I’m going back to school. I might do another film, but for now, Wild America comes out in July and I’m just looking forward to that! 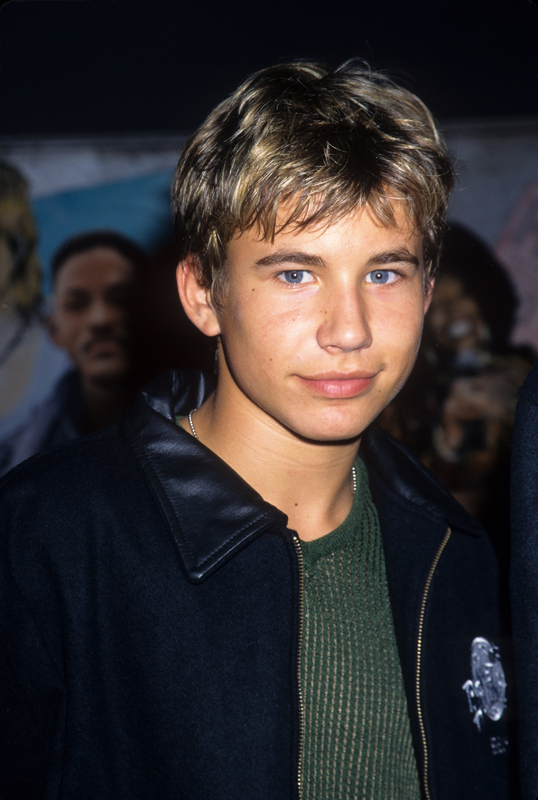 Any day now, you’ll be able to see JTT in his newest movie— how exciting is that?! Jonathan made some new friends while making Wild America. Sure, he got along great with Devon and Scott, but the owl and the deer were the ones he snuggled with!